For the Brexiteers, the bad news has come thick and fast: any sort of Brexit would leave us worse off, Donald Trump – their ideological lodestar – has gone off Theresa May’s deal, public opinion against this deal or any deal is hardening and even many former allies are beginning to suggest that staying in would be the best option. What I am surprised about is the way that some people, good people who are instinctively in favour of our continued membership of the EU, instead of joining those us who are now working to drive a stake through the heart of the increasingly zombified Brexit project, are instead backing what they call the “Norway-plus option”. It is true that the superficially attractive “Norway-plus” would be better than many of the other sorts of Brexit that have been proposed. It would mitigate the damage and keep us in the single market for most things (except fish and food) and the “plus” means customs union membership, so together UK businesses would have near-frictionless trade. But the costs – tangible and intangible – would be significant. For a start, the £50bn divorce bill for the transition period would still be payable and it would then be followed by an annual bill of at least £10bn. In return for that, we would have surrendered all power and influence, even as we sign up to something explicitly recognising that access to and integration with the European internal market is an economic necessity for our prosperity. How could it possibly make sense to keep the same policies and regulatory framework – and keep paying for both – while surrendering all say? We would have what the Norwegians themselves call ‘integration without representation’. We would be a rule-taker, not a rule-maker. All this assumes we actually can negotiate our way into this position to begin with. It will not be as simple as simply picking something off the shelf because no such deal exists. It might have been possible if we had started to negotiate in 2016. It will not be possible in just a few weeks. It will take years to negotiate the regulations and oversight – for instance, just how will we make European Court rulings binding on Britain (an absolute essential for the customs union) when we are not part of the EU’s treaties? Opting out of the Common Agricultural Policy seems like a simple thing until you begin to question whether we are really prepared to pay customs duties to import French butter, cheese and milk, never mind how we cope with the delays at Dover. Of course, any policy that takes us out of the CAP or CFP, or that takes years to negotiate, means that the Irish backstop will have to be written into any withdrawal agreement. Claims otherwise are pure fantasy. Now is not the time to waste our efforts on pursuing this particular chimera. We are closer than ever to being able to secure a democratic route to staying in the EU through a People’s Vote, and that is where we should be pushing the hardest. That also means turning our back on the idea we can have some sort of “better”, “socialist” or “jobs-first” Brexit with Labour – even after an election. All forms of Brexit are bad for the prosperity and influence of our country. I am sure I am not the only Labour MP who is seriously concerned that our frontbench thinks we can go into an early election on a pro-Brexit platform as though nothing has changed from last year. We did well then because desperate pro-EU voters backed us tactically as the least-worst choice that might stop Theresa May’s hard Brexit and keep the door open to staying in Europe. Now we are in the end game, we won’t be given the benefit of the doubt in that way – people, rightly, expect concrete answers, not aspirational waffle. The evidence that any sort of Brexit will make our country poorer is now undeniable. All of us know when things like that happen, it is those with the least who lose the most, and I will never vote for that. So far, those of us who are backing a People’s Vote have won nothing, but we are closer to victory than ever before and now is the moment to show courage and resolution. 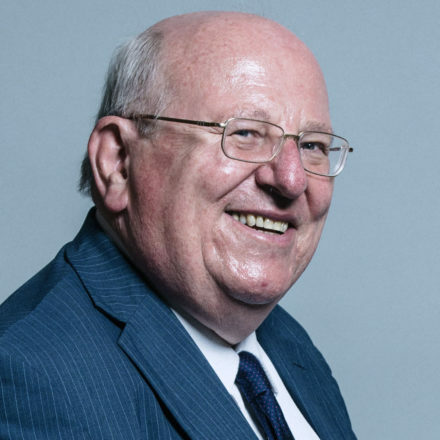 Mike Gapes is MP for Ilford South.